Do you remember how difficult was it to walk through water, if you have tried to walk in a pool, a river or the sea? This is because, the particles of water are pushing back against you, resisting your movement. You know, walking through air is easier than walking through water. But, air resists movement too. Let’s see what air resistance is and how air resistance works with this lesson, Air Resistance for kids. Why do the leaves fallen off trees float all over the place on windy days? 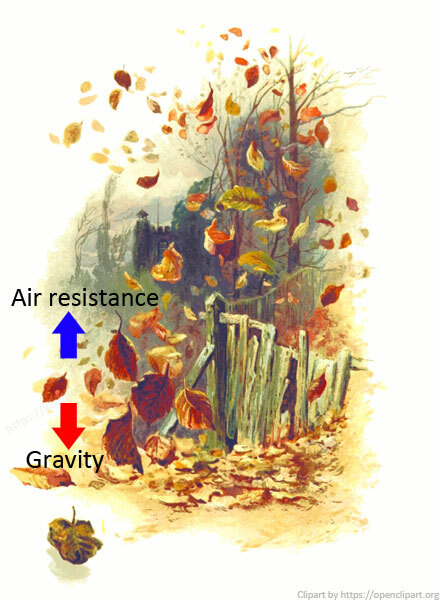 What is air resistance force? 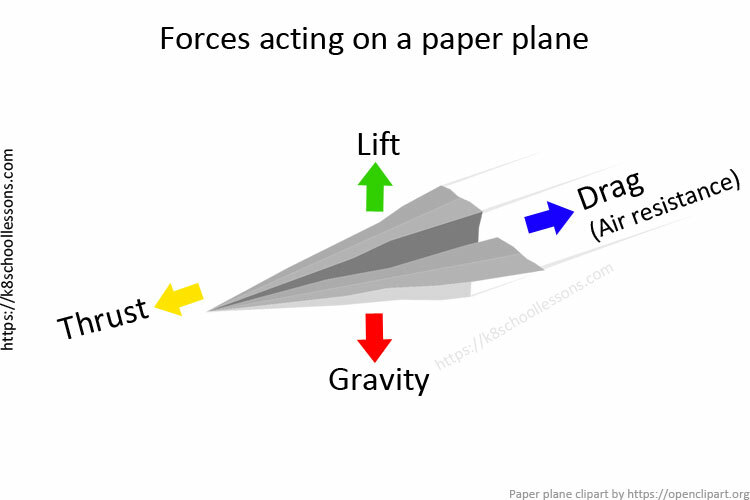 Air resistance is a frictional force that air pushes against a moving object. It is also known as drag. Air resistance always tries to slows a moving object down. The faster you move, the greater the resistance. The faster the vehicle -moves, the bigger the air resistance becomes. Like friction, air resistance acts in the opposite direction to the movement of the object. 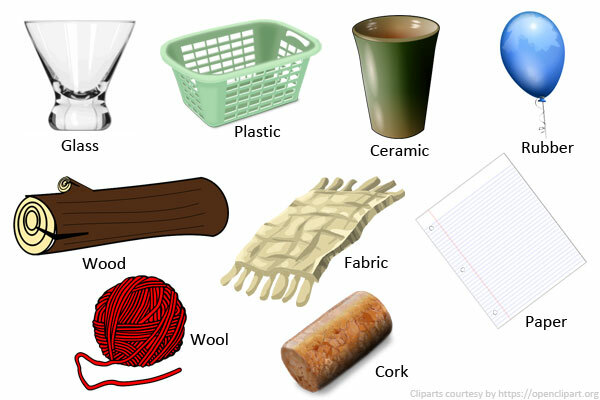 Let’s learn some examples of air resistance with this lesson, Air Resistance for Kids. When you ride your bicycle fast, you can feel the air pushing back against your face and body. On a day with heavy blowing winds, it is very difficult to walk through air, as it pushes back against you. 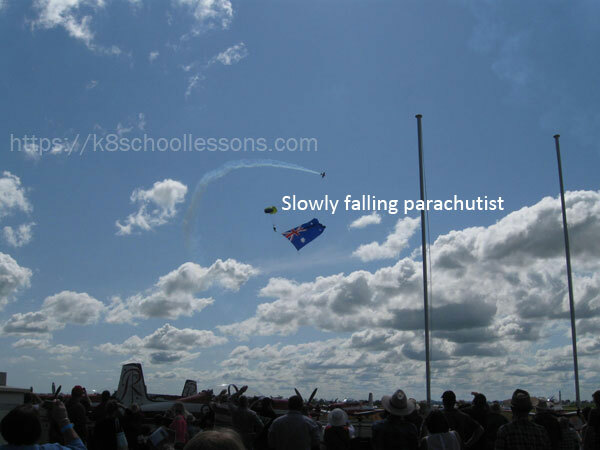 When a parachute falls down, air resists its movement causing the parachute to fall slowly. 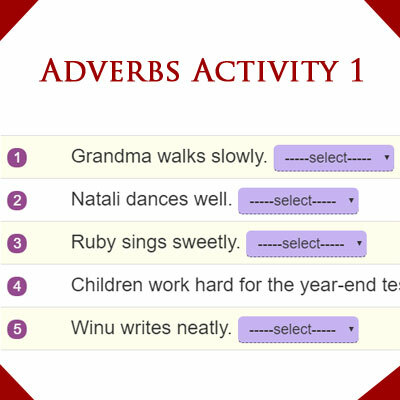 A feather or a leaf fallen off a tree, gently floats down to the ground. On windy days light objects float all over the area before landing on the ground. 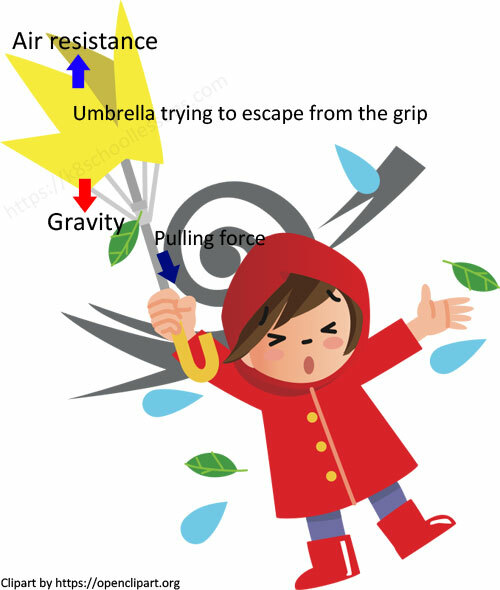 You might have experienced how difficult it was to hold on to your umbrella on a windy day! As you keep pedalling, bicycle doesn’t keep going faster and faster. This is because it reaches a steady top speed. Then you have to continue pedalling just to keep it going at that speed. You are using a force without changing the bicycle’s speed. Why does the bicycle not go faster and faster? This happens due to ‘friction’. There are two types of friction hold you back when you are cycling. One type is caused by the rubbing of moving parts, like the wheel and the axle. The other is caused by the air. These frictional forces get bigger the faster you go. You have to push your way through the air to cycle. This sets up the friction, air resistance. 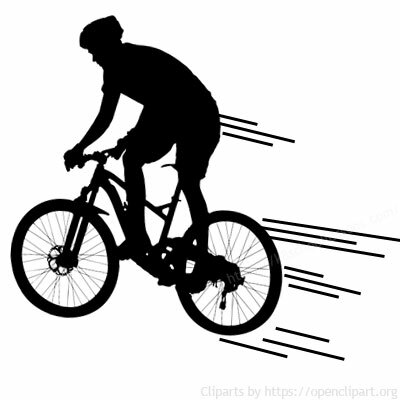 When a bicycle’s speed doubles, air resistance increases four times. 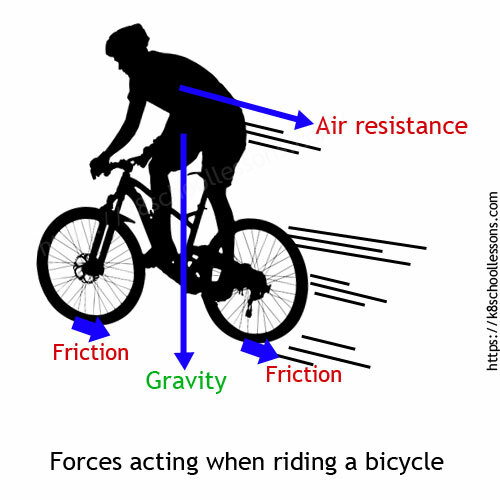 At low speed, the friction is small, much smaller than the force pushing the bicycle forward. And so most of the force which you put on the pedal goes towards speeding up the bicycle. But, as the bicycle speeds up, friction increases. Eventually, it gets so large that it is equal to the force pushing the bicycle forward. All your force is used to overcome friction. 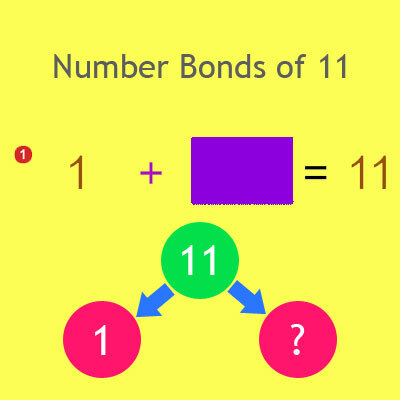 The two forces are balanced (equal and opposite). The bicycle keeps going at a steady speed. 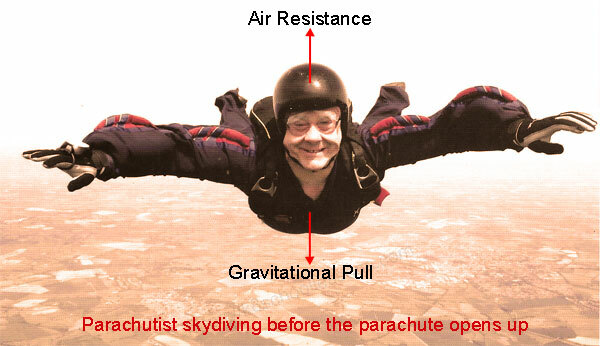 Air resistance is used by parachutists to slow down their fall. 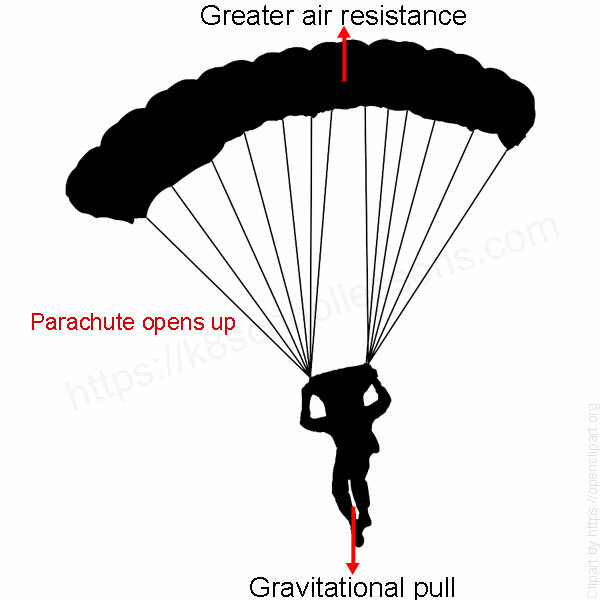 The open parachute has a very large surface area. The bigger the surface area, the greater the resistance. So the open parachute makes a lot of air resistance. This slows the parachute down and the parachutist drops gently to the ground. A space shuttle uses a parachute to slow it down quickly when it lands. This means that it can land on a shorter runaway. Gravity that is acting on light objects, like feathers, is not very strong to pull them towards the centre of the earth quickly. Besides, the air is all over the place. So, there is a lot of air resistance and that resistance makes light objects fall slower. When a feather falls, it falls slowly because the air is in its way. 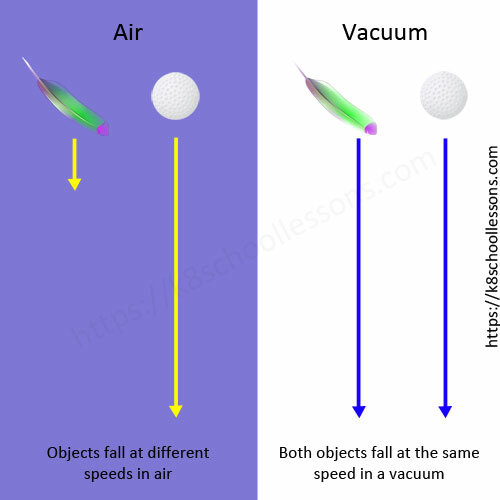 If you dropped a feather and a golf ball at the same time in a vacuum (space with no air), the feather would drop as fast as the golf ball. 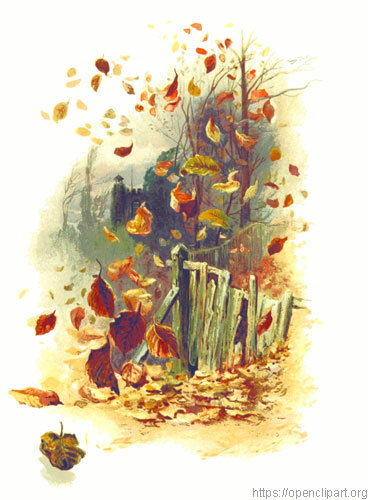 🍁🍁🍁 On a windy day in Autumn, have you seen the beautiful orange or red maple leaves floating all over the place, trying so hard to touch the ground?? When a leaf falls from a tree, it floats gently down to the ground. Air resistance pushes up against the surface of the leaf. The bigger the surface area, the greater the resistance. 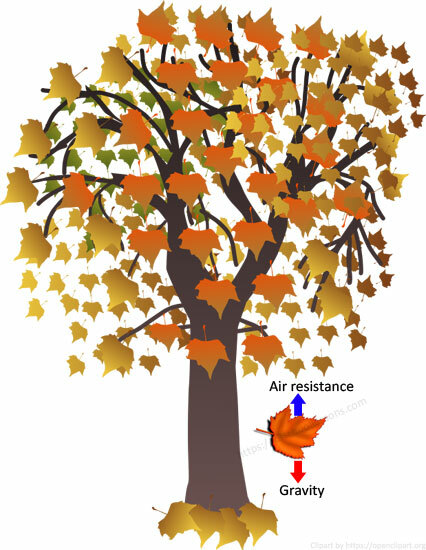 A leaf is so light the pull of gravity is not much stronger than the upward force of the air resistance. So the leaf falls slowly. There are four main forces acting on an airplane. Air resistance and gravity are the two inbuilt forces of nature which act on anything lifted from the earth and moved through the air. 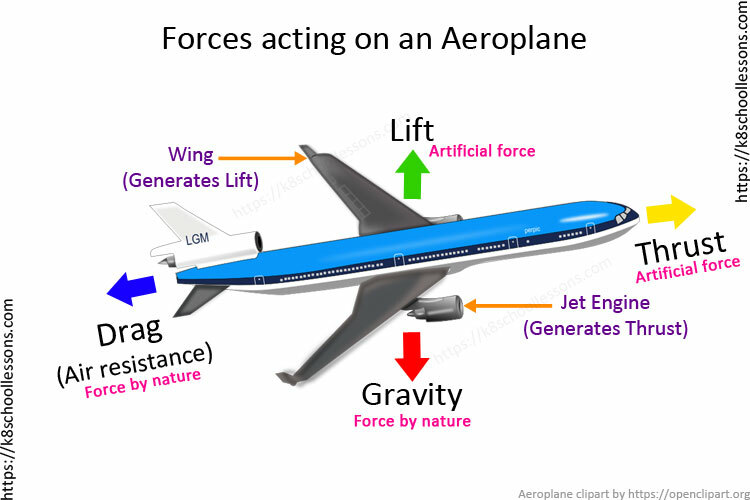 Thrust and Lift are created artificially to overcome air resistance and gravity in order to enable an airplane to fly. The engine and propeller combination is designed to produce thrust to overcome air resistance (drag). The wing is designed to produce lift to overcome gravity, also called weight. 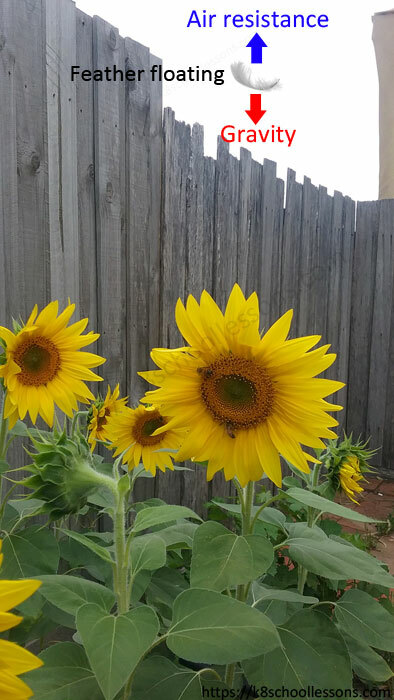 In order for things to move efficiently through air or water, they need to have the smallest possible surface area. 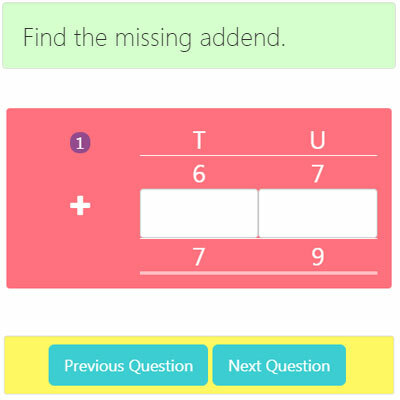 This is because, The bigger the surface area, the greater the resistance. Therefore, things need to be streamlined to push against the air or water. Crouching down low on the bikes helps racing cyclists to reduce the air resistance on them and cycle fast. 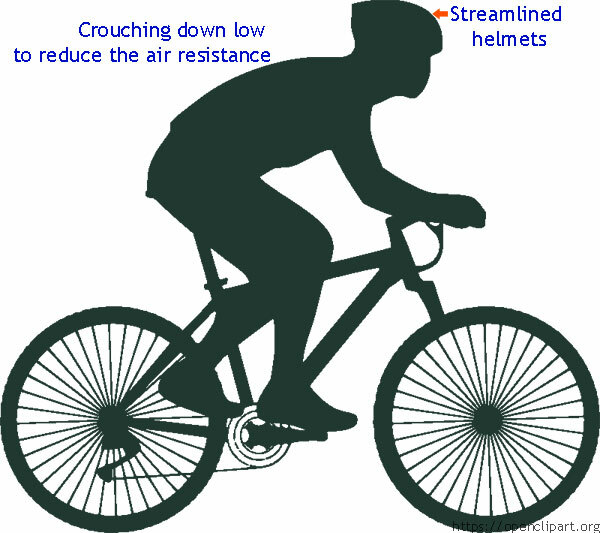 Wearing streamlined helmets with special smooth shapes is an advantage for them as they allow the air to flow over the cyclist more easily. 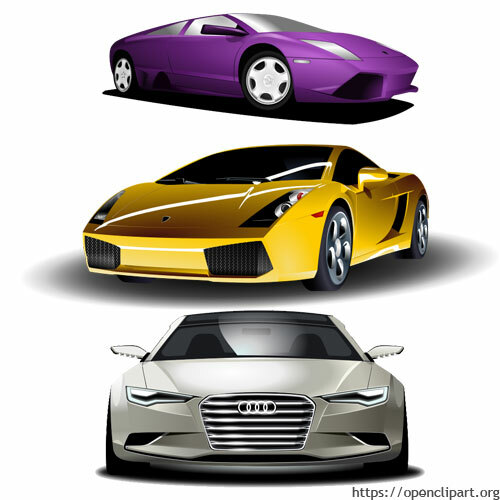 Car designers test different streamlined shapes in wind tunnels. They want to see which shapes cut through the air best. Lorries use spoilers to help the air flow more smoothly over their bulky shapes. Water resistance is stronger than air resistance. Animals that move fast through the water need to be streamlined. This is why fish are all well streamlined. Their smooth, round heads and long, tapering bodies let the water flow past them more easily. 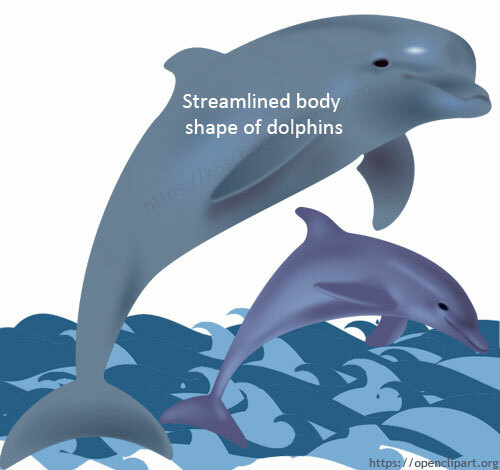 Dolphins can swim quickly through the water. Their streamlined shape let them slide through the water without much resistance. Submarines are built with the same streamlined shape to help them move faster through the water. Do spacecraft need to be streamlined like submarines? There are no particles of air or water in space. So, there is no resistance in space. Therefore, spacecraft flying in space do not need to have streamlined shape.This is why many bulky things such as aerials, antennae, solar panels etc. are attached to many satellites and spacecraft. 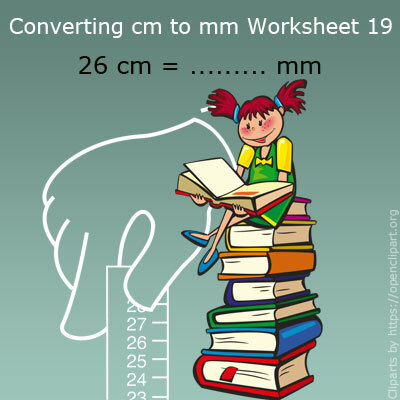 Hope you learn a lot about air resistance with the lesson ‘Air Resistance for kids’.